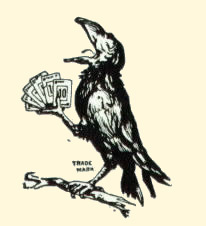 Some have asked how they can help support the RookCards.com WEB site. The cost to host this site is less than $100 per year - So I'm really not looking to receive any money from visitors. Just being an active part of a community of Rook Card Collectors and Players, spreading the word about our hobby is support enough. Although, there is one way you could help support financially without sending a penny. If you were intending to buy something from Amazon.com and do so through the link above, I would get a small referral fee from Amazon. You will be linking directly to Amazon.com just as you would your standard way of doing so - except I would receive some credit for everything you purchase at no extra cost to you. Report: In the past 2 years there have been enough purchases to cover the cost of this WEB site. Thanks to all who took the time and thought to make their purchases through the Amazon.com links on my site. I would thank each of you individually if I knew who you were.